Monalisa, who is all set to feature in new supernatural show Divya Drishti, knows how to rightly spend her weekend. Taking to Instagram, she looks hot in short black polka dot dress. 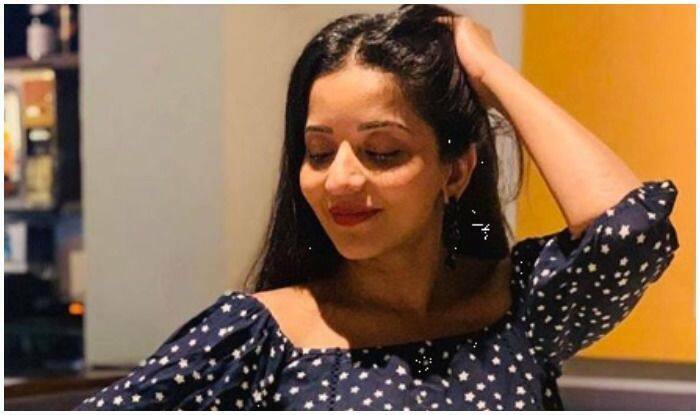 Bhojpuri actress and television diva Monalisa aka Antara Biswas, who is known for her bold and beautiful pictures, has once again set the internet on fire with her latest Instagram post. In the picture, she is seen posing in a restaurant in a short black polka dot dress. Her wide smile and absolutely no makeup look will give you perfect weekend vibes. She has accessorised her look with a pair of earrings, red lipstick, and sensuous pose. She has kept her hair open and straight. A few days back, she uploaded her couple of pictures in a baby pink floral jumpsuit. She teamed up her look with minimal makeup and hot pink lipstick. Monalisa is all geared up to feature on a new supernatural show Divya Drishti in her popular roe Mohona. She has apparently died on the show Nazar leaving her fans disappointed. Now, her fans are eagerly waiting for her comeback. Monalisa rose to fame with Bhojpuri films and songs. She has now made her niche in the industry with films Bhole Shankar, Dulhan Chahi Pakistan Se 2, Devra Bhail Deewana among others.